Browse our increasing range of delicious recipes. 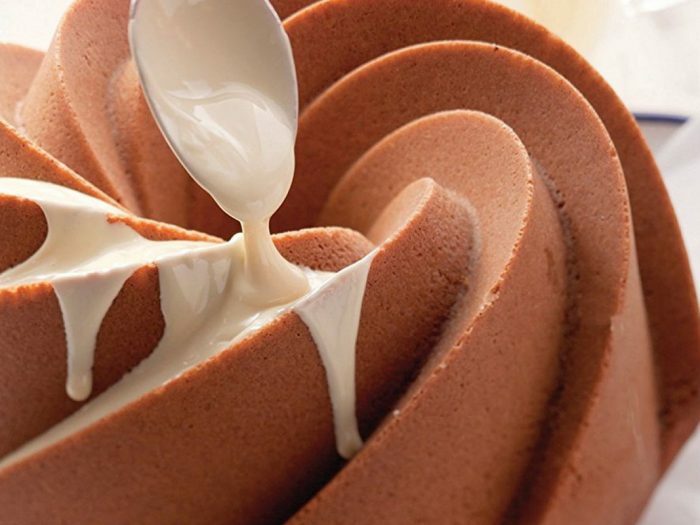 They’re easy to make with Nordic Ware baking tools and cook wonderfully in our bakeware. Cooking in the kitchen on a tablet? Tap on the full-screen icon. Do you have a recipe you would like to see here? Send it to us with a large, high-resolution, quality photo of what the end result looks like, and we’ll consider it for publishing. Marbled BrowniesLittle chocolate delights as little Bundt brownies, thankfully so easy to share because it's so easy to eat them all. 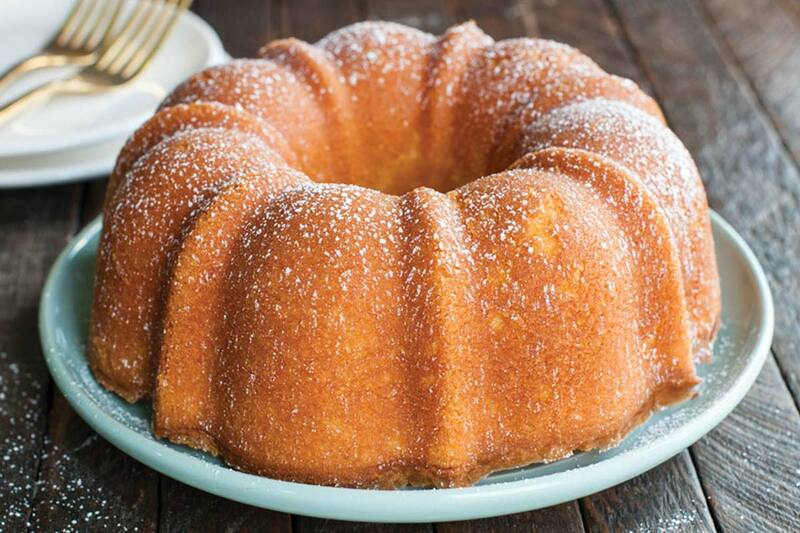 Old Dominion Pound CakeAn old-time classic favourite, this thick and rich pound cake is perfect for afternoon tea all year round, especially when made in our Rose Bundt Pan. 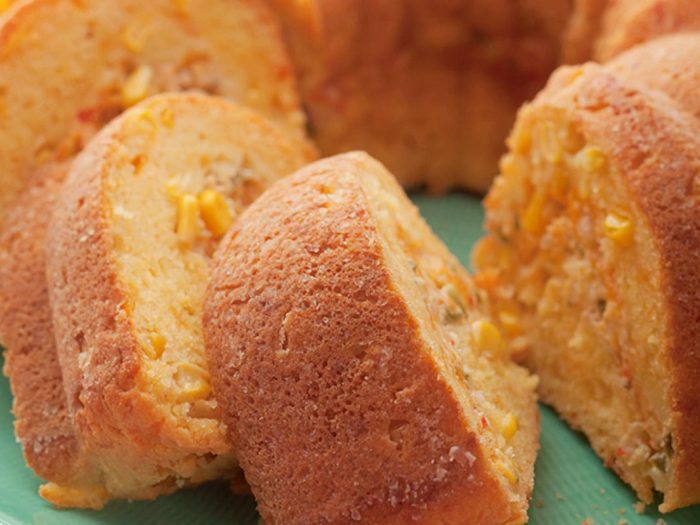 Cornbread Bundt with Savoury Cheese FillingThis Bundt represents the heritage of the traditional New England cornbread of the northeastern United States. With a savoury, creamy cheese filling, try served with a bowl of your favourite chilli. 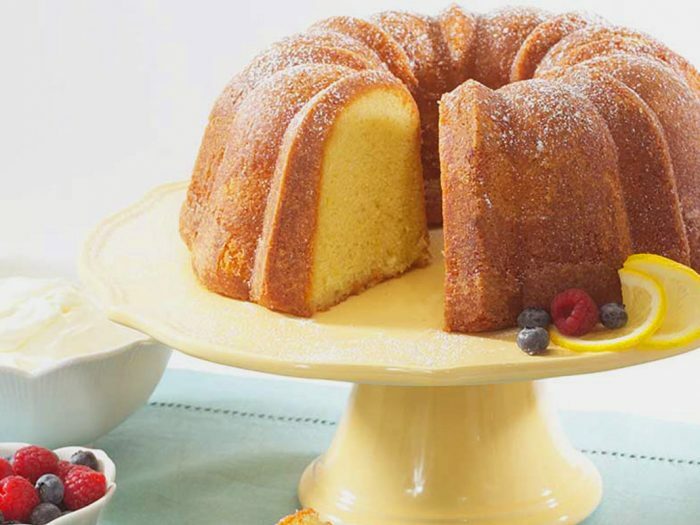 3-Cup Vanilla Pound CakeThis is a classic vanilla pound Cake recipe for any 3-cup Bundt pan. 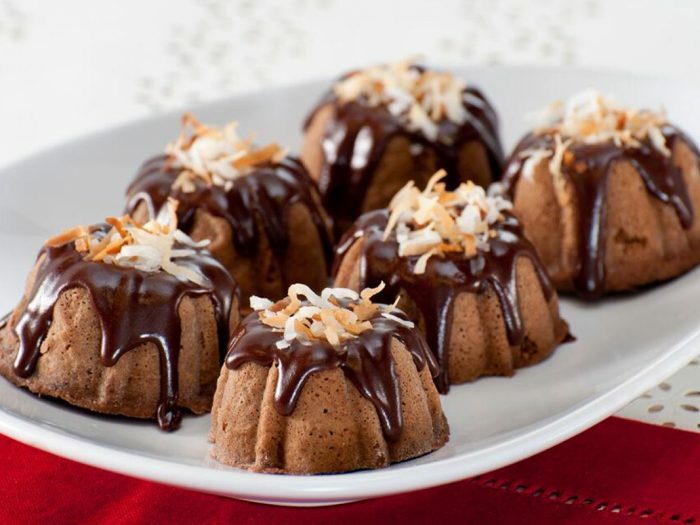 A flavourful yet simple dessert perfect for sharing with small groups or families. 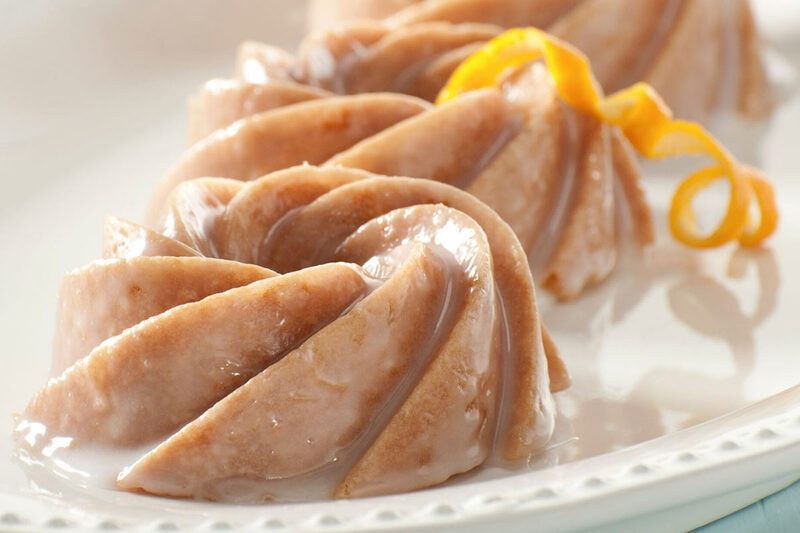 Orange Jubilee CakeFans of orange flavour will enjoy this Bundt recipe, especially the tangy orange marmalade glaze. 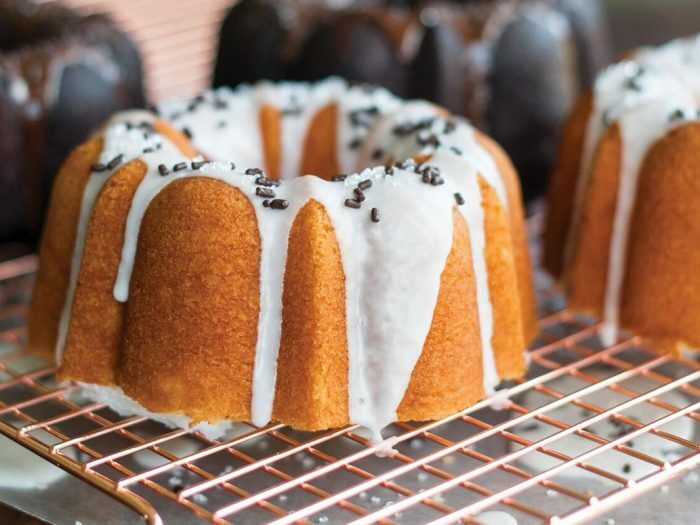 Dark Chocolate Caramel Bundt Cake with cream cheese fillingA delicious Bundt with two top flavours, rich chocolate and smooth caramel, and a surprise cream cheese filling. 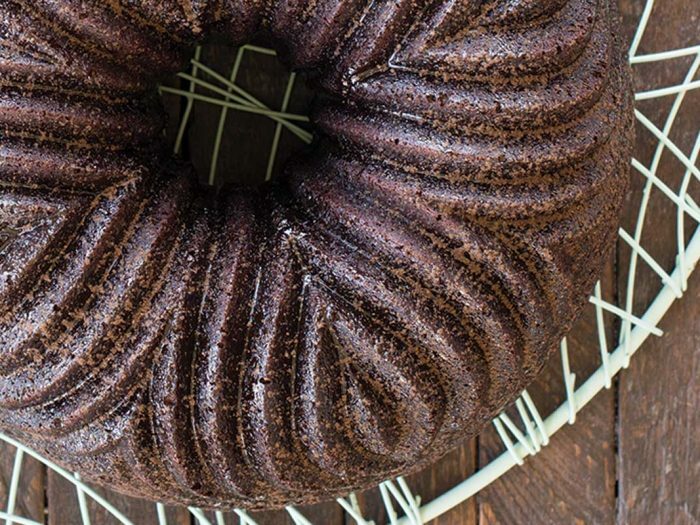 Honey Chai Spice CakeA feel-good Bundt with soothing flavours of chai spices and smooth honey, especially nice with the thick chocolate cream glaze. 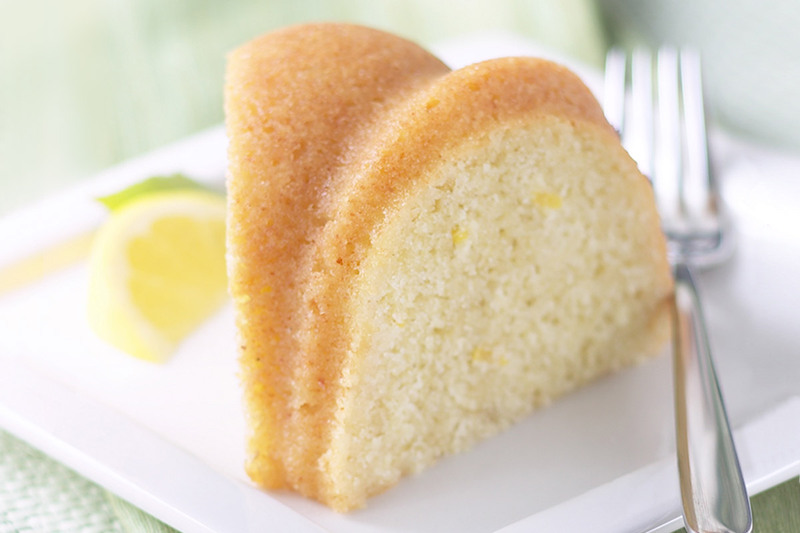 White Chocolate Limoncello CakeThis Bundt is lemon heaven and a real tingle to your tastebuds! Try with fresh berries and mascarpone cream. 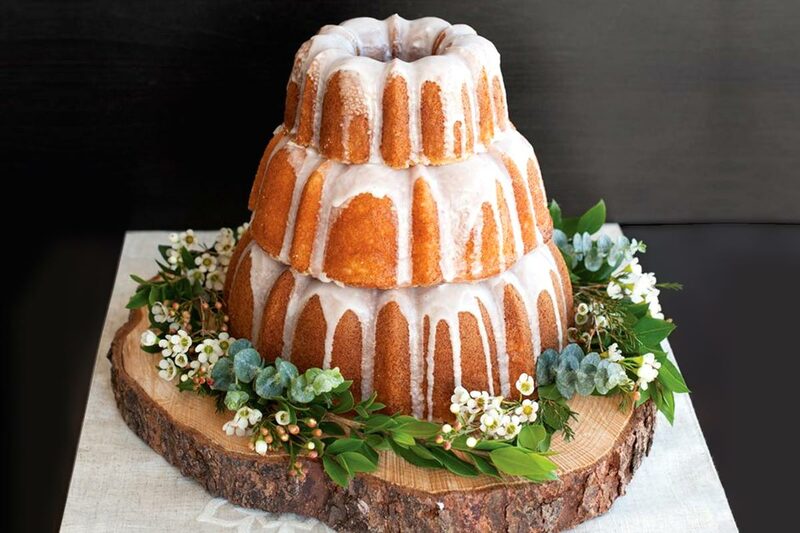 Three-Tiered Bundt Wedding CakeBundts are now on-trend for wedding cakes, and Nordic Ware's three formed aluminium Bundt pans stack perfectly to make this impressive three-tiered wedding cake. 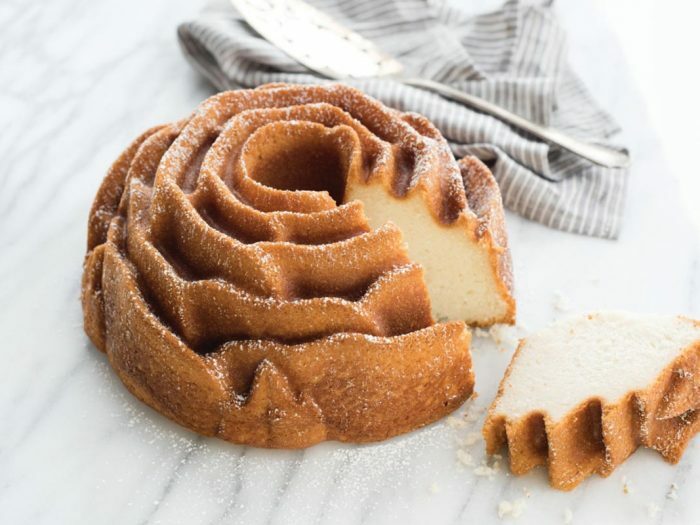 Six-Cup Vanilla Pound BundtVanilla is a popular favourite, and this simple recipe is a quick and easy way to please everyone! 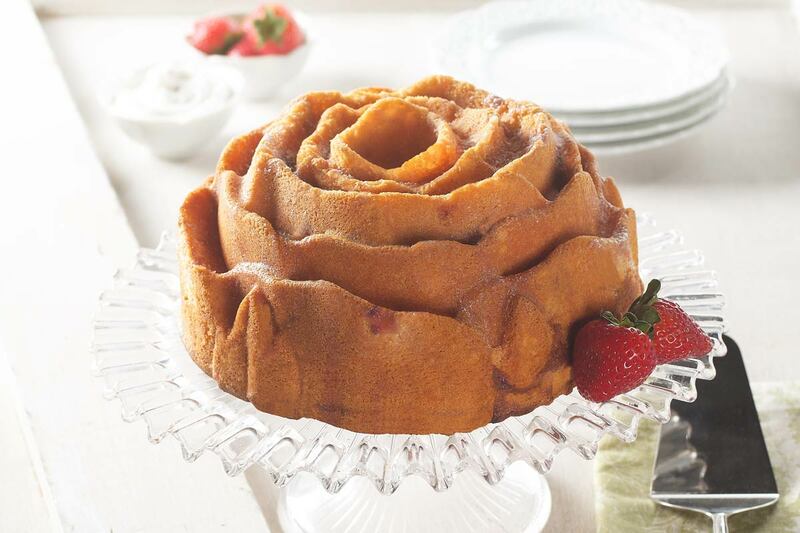 Strawberries and Cream Bundt CakeA fresh Bundt cake with delightful strawberries and cream, served in a gorgeous rose shape. 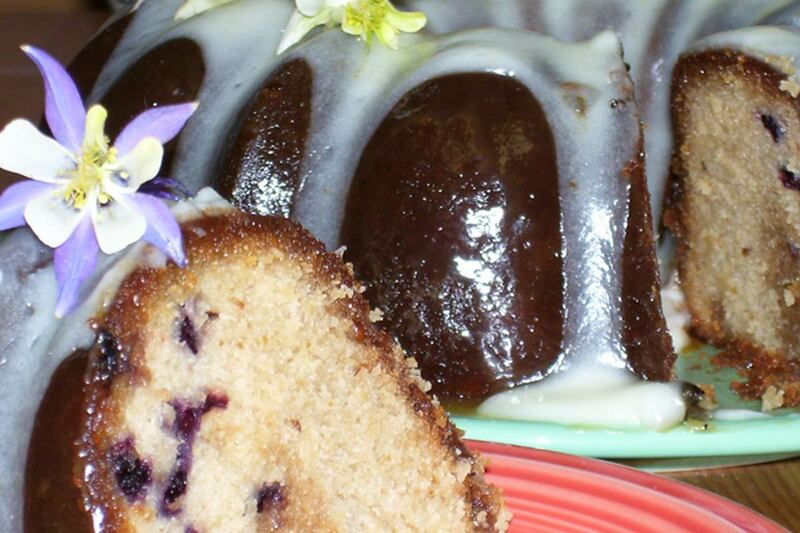 Beary Honey Nut Bundt CakeAn indulgent Bundt with two glazes. Grrr yuuum! 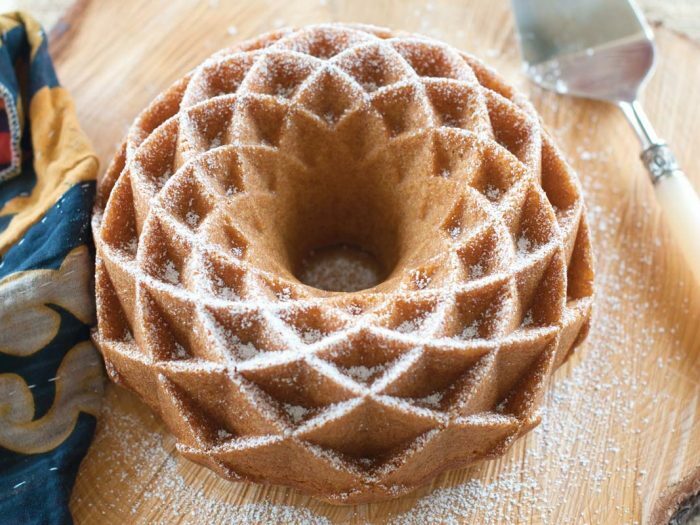 Mango Coconut BundtMango and coconut is a classic taste of tropical summer, however this Bundt will tickle your taste buds all year round. 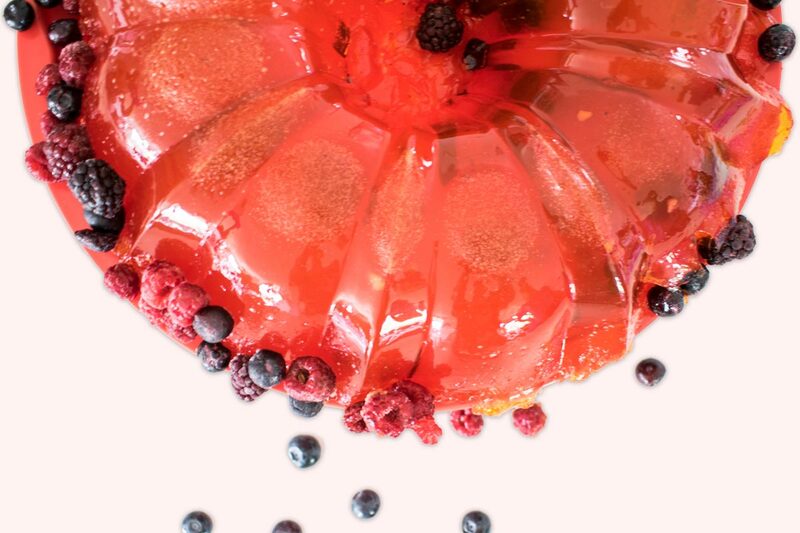 Jelly Berry CakeTry something just a little different and be the toast of your parties this summer.